Doug Lebda - For the Industry. By the Industry. 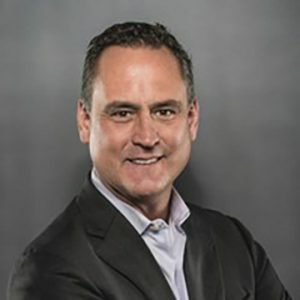 Doug is the CEO and company founder of LendingTree, an online loan marketplace where consumers can shop and compare multiple offers from a national network of lenders to find the best deal on their financing needs. The spark for LendingTree ignited after Doug experienced his own frustrations and complexities of getting his first mortgage. Doug thought consumers could be better served, and he asked himself, “Why not create a way for banks to compete for their customers’ business instead of customers having to do all the legwork to find the best deals?” In 1996, Doug founded LendingTree which revolutionized how consumers shop for loans and how lenders could reach new customers. As a financial tech company, LendingTree has dedicated itself to empowering consumers to make better and more informed financial decisions by providing transparent options and resources. LendingTree provides loan comparison resources for multiple financial products including mortgage, refinance, personal loans, auto loans, business loans, student loans, and more. Before founding LendingTree, Doug worked as an auditor and consultant for PriceWaterhouseCoopers after receiving his Bachelor’s degree from Bucknell University.